Winter, apparently, does not want to step back and let spring in as May snow has once again covered the Russian capital ahead of the annual V-Day parade. Meteorologists say May 2017 is on track to break the precipitation record from 1922. “Storms of such power in Moscow take place once in 30-35 years,” Evgency Tishkovets from the Fobos weather monitoring centre told local Govorit Moskva radio, adding that it is possible that this May can break an absolute record from 1922. Moscow centre which has been preparing for the 2017 Victory Day parade scheduled May 9, has been transformed into a white fairy tale. “The nature is joking”, one person wrote, adding a photo of a monument to Soviet Marshal Georgy Zhukov covered in snow. “May 8th! Snow!” unbelievably exclaimed a person sharing a pic of a slippery road next to the GUM State Department Store. The May blizzard didn’t stop city residents and tourists from enjoying the great outdoors. “Amazing weather. Let’s go for a barbecue outside,” one person ironically wrote under the video of blizzard near the iconic Moscow City center. “May 2017” one person wrote on his snowy car apparently to remember nature’s unpredictableness. 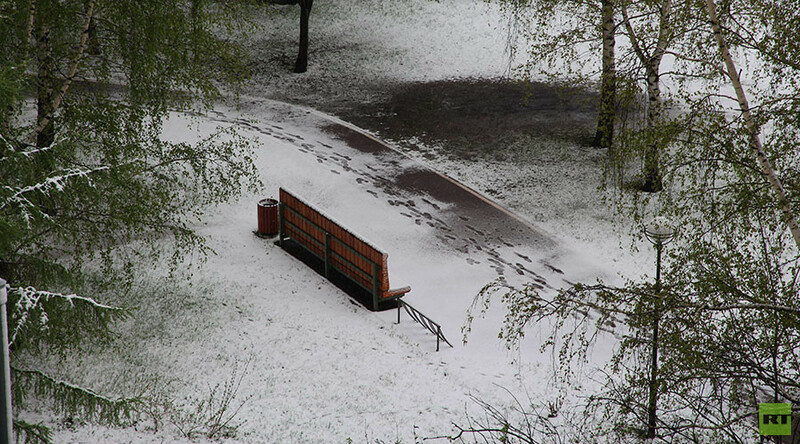 Muscovites accepted the snowfall philosophically – it’s not the first time winter comes back in spring this year. “Russia is a country of contrasts”, “May doesn’t care that it is called May. It wants to be November!” “Love winter in the beginning of May” “a whim of Nature” wrote people on Instagram. Not everyone was eager for adventures in the snowy capital, however. Some preferred to stay at home and post photos and videos of the unpredicted snow from their cozy apartments. “Nature doesn’t have bad weather. But at home it is warm and cozy,” one person wrote. Flowers in snow have become a popular trend on Instagram among Muscovites. People have been sharing photos of tulips which are usually planted ahead of Victory Day on May 9. Except this year, the ‘victory flowers’ were surrounded by snow, green grass. “Here is first snow in May,” philosophically noted one person. #тюльпанывснегу (tulips in snow) hashtag has been trending on Instagram ever since. Half of the usual monthly snow has fallen in less than 24 hours, Moscow’s meteorological bureau reported, predicting snow and rain on Tuesday morning. 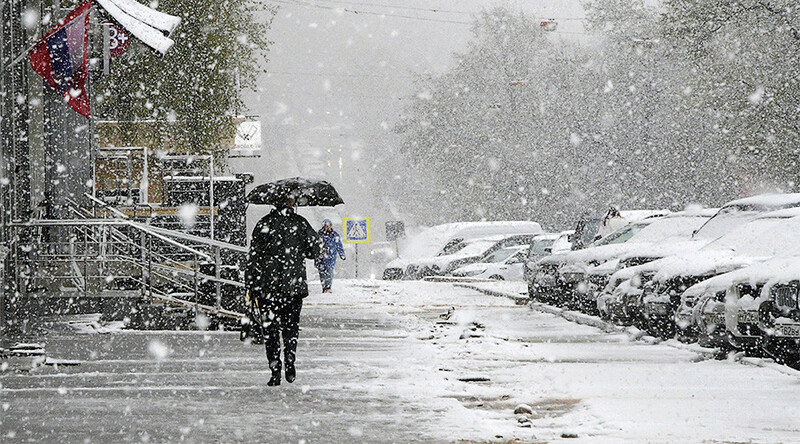 Meteorologists told RIA Novosti that they don’t believe that the snow in May is an extraordinary phenomenon. “This [snow] happens. [Victory day] celebrations have taken place in warmer weather conditions in recent years,” they said, adding that in Russia any whether phenomenon is possible.